“She is not merely a good housewife, attending diligently to material interests; she guides her family with words of wisdom. When she speaks, it is not gossip, or slander, or idle talk, that she utters, but sentences of prudence and sound sense, such as may minister grace to the hearers…her language to those around her is animated and regulated by love. As mistress of a family, she has to teach and direct her dependents, and she performs this duty with gracious kindness and ready sympathy” (Pulpit Commentary). The only way we will become this wise woman is by spending a lot of time in God’s Word and learning from Him. Wisdom only comes from God. 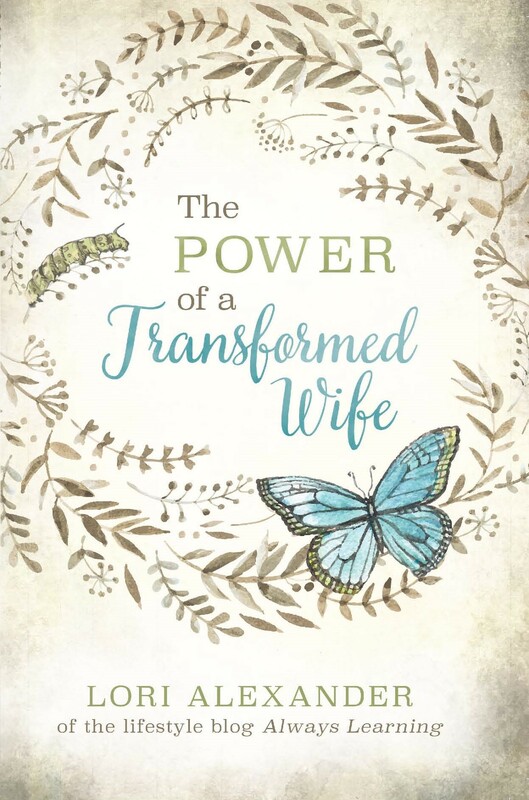 We are transformed by renewing our minds with truth and if we are never reading and learning truth but instead watching TV shows, news shows, and things of this world, we can never expect to be women who are filled with wisdom and kindness. This is an act of the Holy Spirit in us and we can grieve Him by allowing sin in our lives and not filling our minds with truth. 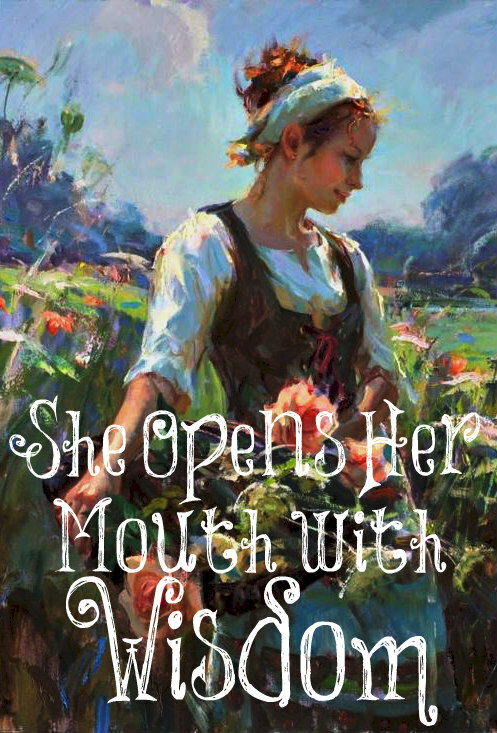 “She openeth her mouth with wisdom,…. When she opens her mouth, for it is not always open, she expresses herself in a discreet and prudent manner; as well as speaks of things not foolish and trifling, but of moment and importance, and of usefulness to others:…and in her tongue is the law of kindness; or ‘the law of love’, grace and mercy; which is the law of Christ, Galatians 6:2 speaking kindly and tenderly to everyone, exhorting to acts of mercy and kindness, and doing them herself: or ‘the doctrine of grace is in her tongue'” (Gill’s Exposition). It’s easy for us to talk just to talk and to say things without thinking. We need to learn that it’s OKAY to be quiet. Having a meek and quiet spirit means we are content and even aggressively pursue contentment. This means we enjoy being silent and not having to be the center of attention or just talking about nothing important. If we do talk, we need to learn to carefully measure our words and if we feel like we want to say something mean or critical, we shut it down very quickly and say nothing instead. We are “swift to hear, slow to speak, slow to wrath” (James 1:19). “She openeth her mouth with wisdom — She is neither sullenly silent, nor full of impertinent talk, but speaks discreetly and piously, as occasion offers. In her tongue is the law of kindness — Her speeches are guided by wisdom and grace, and not by inordinate passions. And this practice is called a law in her tongue, because it is constant and customary, and proceeds from an inward and powerful principle of true wisdom” (Benson Commentary). Wisdom comes from above. It is “first pure, then peaceable, gentle, and easy to be intreated, full of mercy and good fruits, without partiality, and without hypocrisy” (James 3:17). We use no swear words. We don’t tell dirty jokes. We seek peace with everyone as far as it depends upon us. We are “hard to provoke and easily pacified.” We don’t get angry easily and when in the few times that we do, we calm down quickly. We must learn to be joyful women of God. What flows out of our mouth begins with our thoughts so we must take every thought captive to the obedience of Christ. We can control our thoughts! When we have negative thoughts, we quickly change them to thoughts of thanksgiving and praise to the Lord; for all He’s done for us, and the many blessings we have from Him. We dwell on the lovely and the good; “for out of the abundance of the heart the mouth speaks” (Matthew 12:34). Happy is the man that findeth wisdom, and the man that getteth understanding. What About Successful Female Preachers? Love this! Such a good reminder as the tongue can be very hard to control. Thanks again dear Lori for offering those constructive and encouraging reminders!!! I’m thankful to God for those, I read them daily and enjoy them very much. You help me have a biblical mindset, a biblical culture. Have a great week 😁. This reminds me of my mother-in-law. She’s such an amazing woman! Thank you for this post Mrs. Lori.